Vrijdag 20 maart wordt het druk op HAB, dus wellicht vind je het leuk om ook te gaan tracken. Een aantal operators in de UK willen de gedeeltelijke zonsverduistering gaan vastleggen met camera’s, dus we kunnen ook een hoop SSDV verwachten! Dus vergeet je browser niet ook op http://ssdv.habhub.org/ te zetten. Er is ook een BBC programma bij betrokken, dus kijk ’s avonds ook even naar BBC2 (ik denk rond 22 uur local, kijk even in de gids). This is advance warning of a flight to be launched at 8am on Friday March 20th. This one is a bit special and I’d really appreciate as many trackers as possible. It’s on a Friday so I realise that there won’t be as many trackers as at a weekend, plus it’s fairly early in the day which doesn’t help. However, I have yet to figure out a way to slow down the Moon’s orbit so the date and time are both very, very fixed. The flight is to primarily to take photographs during the partial solar eclipse (it’s a full eclipse in the Faroes, but unlike Steve’s friend I’ve been sent to Leicester instead). If the flight path allows for a dry landing, or at least the possibility of one, then there will be 4 video cameras on-board. Either way, there will be 3 Pi cameras feeding 2 RTTY channels and 3 LoRa channels, so plenty of stuff to tune in to. The launch activities will be recorded and some of the footage will be transmitted on the special BBC Stargazing show from 9am to 10am on that day. There will also be a couple of very brief live segments where, hopefully, I get to show some pretty live images. 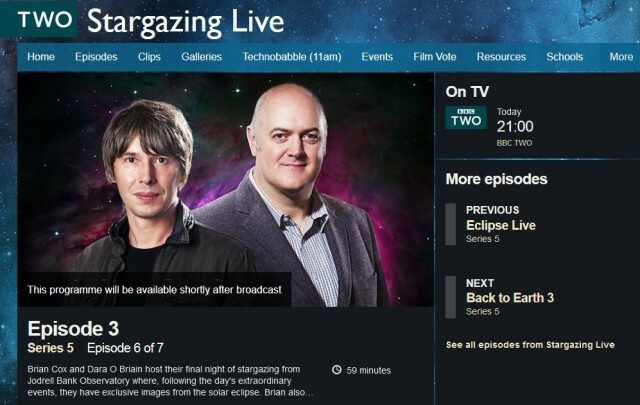 Also, assuming we get to recover the flight, some of the recorded video should end up on the main Stargazing show in the evening (9pm-10pm, BBC2). 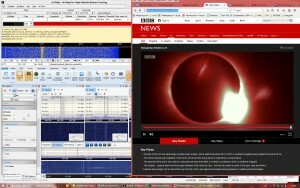 I’ll post payload IDs and frequencies at the weekend. That will include details of the LoRa stuff, which all being well should bring in rather more image data than the RTTY channels. Tracking details for my eclipse flight. There will be 2 Raspberry Pi trackers each sending telemetry and SSDV using both RTTY and LoRa modulation. Dublin, before turning east to Wales and on towards Germany. module. It will be sending SSDV images throughout the flight. The University of Southampton Spaceflight Society will be launching for the eclipse on Friday, with two SSDV payloads. Current predictions are ‘wet,’ but we may try and fill to get it to land in France. 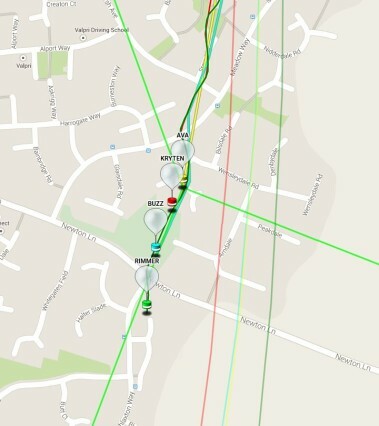 There have been some minor changes to the telemetry. We will be launching from Pepperbox Hill near Salisbury, at 7am due to the NOTAM, so it will be sent up slowly, perhaps landing at France. 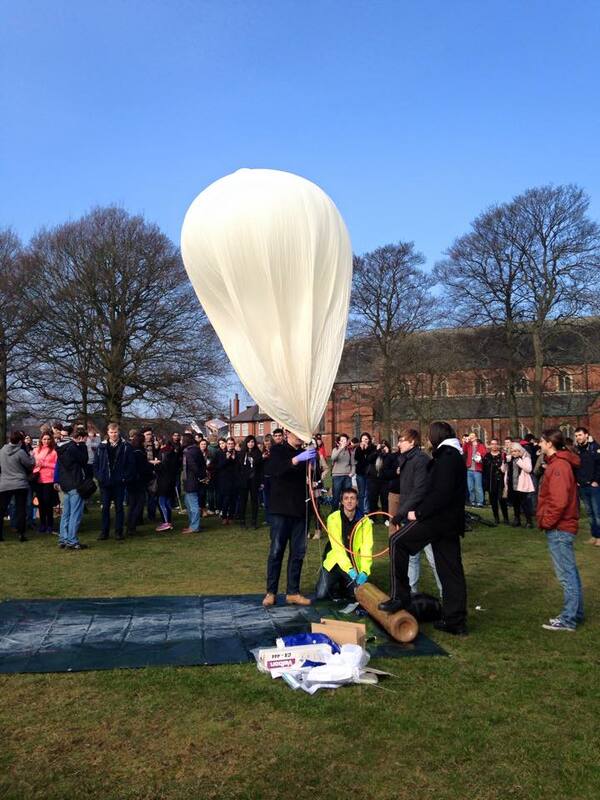 Students from the university of Birmingham are also launching a balloon tomorrow morning. The balloon is called Gemini 1 and is carrying students payloads. We also launch a balloon to the solar eclipse on March 20 at 8:45 CET. We start in Neuss near Düsseldorf. The payload contains 4 Canon A810 cameras for filming and a Raspberry pi with pi in the sky shield. We would appreciate if some antennas would be directed to us. Kijk op mijn “High Altitude Ballooning (HAB): vademecum voor tracken en informatie” voor hulp bij tracken en veel links.